The Kingston Stockade, a lower league soccer team based in Kingston, have been making waves in the world of soccer after writing a letter to the United States Soccer Federation regarding the implementation of promotion and relegation into the US Soccer pyramid. If the request is denied by US Soccer, owner and chairman Dennis Crowley says that he will file a lawsuit against the United States Soccer Federation. The United States of America’s soccer league system is one of the few in the world that do not use the system of promotion and relegation. The concept is simple. The worst three teams in the top division are dropped down a step on the league pyramid, and the best three teams from the league underneath on the pyramid. Take England for example. In the English Premier League last season, the three worst teams were Sunderland, Hull, and Middlesbrough. These three teams were sent down to the second division (Football League Championship) and replaced by the three best teams from the second division last year, in this case being Huddersfield, Brighton, and Newcastle. Every year, the Premier League has three new teams replacing the ones relegated the year before, while all other lower leagues have six new ones, as three teams are promoted to the league above and three are relegated to the league below in every other league. Setting up promotion and relegation allows players to showcase their talents at a higher level. In the current setup in the United States, players can be stuck in the lower divisions for their entire careers, never getting the chance to play at a more elite level, and some truly talented players have fallen through the cracks. Others believe that promotion and relegation would allow more teams to get more money to pump into youth soccer academies, which would raise the future talent level in the USA. This would likely raise the credibility of U.S. soccer in the eyes of the rest of the world, which view the American National Team as underachievers after failing to qualify for the 2018 World Cup in Russia. Promotion and relegation also allows teams to participate at a higher level, giving them a better chance to make money. In every country, including the US, the top league gets the lion’s share of the revenue from ticket sales, media rights, and publicity. What Crowley argues is that the teams in Major League Soccer are using the league and its exclusivity as a form of monopoly over the market of soccer in the United States. He argues that promotion and relegation create more of a meritocracy, which is one of the fundamental aspects of capitalism. Most teams in the United States’ second division, the North American Soccer League, most likely wouldn’t beat the big guns in the MLS, but they might be. For instance, Leicester City was promoted to the English Premier League in 2014 after winning the second division. After a middle of the road 2014-15 season that saw them narrowly escape relegation, they would go on to win the league title at 5,000 to 1 odds in 2015-16. They were also able to build elite level youth training programs with the revenue that they brought in from the Premier League. However, promotion and relegation in the United States doesn’t come without problems, and it has been met by critics both on and off the field. “I think promotion and relegation is a strong solution to bringing more attention to the game in this county, but I don’t think it’s the best solution to developing into a bigger soccer nation” said Ernest Mitchell, a defender on the Kingston Stockade last season. One of the major problems of promoting smaller teams into bigger leagues is the problem with finances. While rich owners like Crowley can afford to move his team up to a higher league, many other teams cannot. “There are not enough teams, and there’s not enough money in US Soccer,” said Enzo Petrocelli, a midfielder who has spent time playing soccer in both the United States and Italy. Lower leagues on the soccer pyramid are broken up into regional conference so that the travel costs for the teams is kept to as low as possible. If a team from a regionalized league, like the Stockade, gets promoted to the NASL, which is a nationwide league, the team’s travel costs would increase exponentially. Rather than Kingston traveling by bus to close locations like Brooklyn or Portsmouth, N.H., they would instead be traveling cross-country to Phoenix and Las Vegas, which would require airfare. Not many teams would be able to afford that, especially in the first season in the new league. Whether or not promotion and relegation should be implemented in the United States soccer leagues is one of the most hot-button issues in soccer. Supporters of promotion and relegation will often cite the Leicester City story, while detractors echo the sentiments of Petrocelli and Mitchell. Either way, a good majority of diehard fans of US soccer have a strong opinion on the matter. The Marist College club hockey team usually plays their home games at the Mid-Hudson Civic Center in Poughkeepsie. However, last month, there has been an issue which has prevented the hockey team from being able to have their home games there this weekend. “Our ice cooler broke down last month and we haven’t been able to fix it within the last couple of weeks so there is no ice,” Sal Manteria, rink manager of the Civic Center, said. Without proper ice conditions, the Red Foxes have had to make changes to their schedule. The team will play their two weekend home games in Newburgh rather than in their usually location Poughkeepsie. With more than normal warm temperatures this past winter for the college, Marist students return for another year with a weird feeling that their weather predictions might not be exactly uniform. Several abroad students were actually surprised about this past winter when they returned to Marist from countries such as the U.K. and Italy. According to The Poughkeepsie Journal the average temperature for this past winter was above normal with the average high temperature in February being 45.4 degrees which was 6 degrees above the normal high temperature of 39.4 degrees. The average low being 23.5 degrees, 5.7 degrees above the historic low of 17.8 degrees. “I was definitely surprised to hear that this past winter was more mild than the past two winters here,” said Adriana Belmonte, a senior who went abroad last spring to Florence. “The temperature in Florence was normally about 70 degrees and when I visited Germany I think there was only a 20-degree difference between Italy and Germany.” Belmonte mentioned how her first two years at Marist, the winters were extremely cold and long. According to NASA’s Goddard Institute for Space the period between January and June was the world’s hottest half-year recorded with the average temperature being 2.4 degrees Fahrenheit warmer than the late nineteenth century. According to The Weather Network, El Niño is the cause of bringing warmer temperatures to the Northeast region and these temperatures may increase. El Nino may also increase in intensity in future years. Overall, the Hudson Valley had a warmer winter than normal as well as many other countries around the world. As I was signing my year-long lease two years ago, focusing on controlling my sometimes disobedient cursive “z”, my landlord told my seven friends and I that the most practical skills administered in college are learned when dealing with off campus housing. Since, I have learned, mostly through trial and error, to fix a broken chain in the toilet tank, make out a rent check, memorize the scheduling of garbage day, familiarize myself with City of Poughkeepsie ordinance laws, and discovered the amount of burnt popcorn fumes it takes to send the fire chief to your front door. 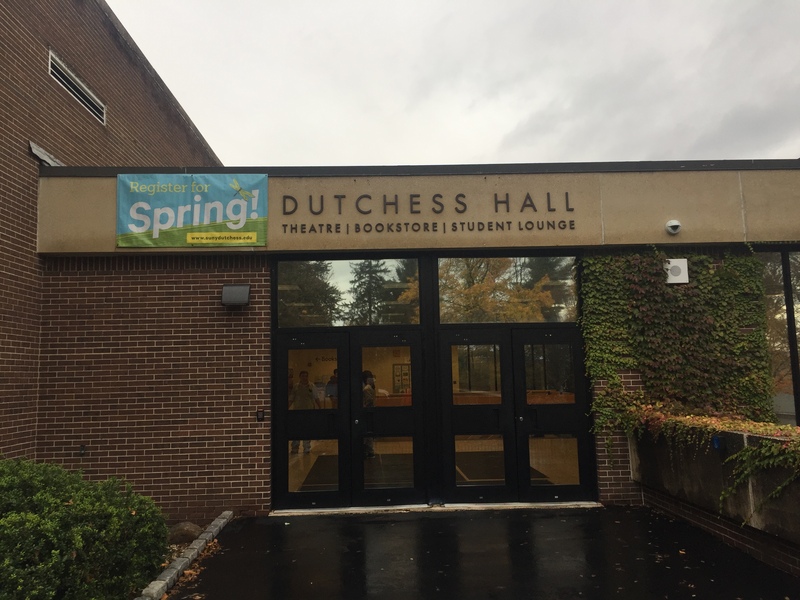 According to a representative at Marist Housing and Residential Life, “at any given time there are 200-300 students that have chosen to live off campus within a 2-3 mile radius.” Selecting an off campus house, thus deeming yourself “a commuter” to Marist, presents numerous opportunities and considerations. On Sept. 29, it was announced that American Breeders: Puppies and Kittens—a popular pet shop among Marist students—will close. This news is the result of a nearly seven month investigation by the state animal control officers from the Connecticut Department of Agriculture into the store’s alleged misconduct. The impetus for the closure occurred in July of 2015, when the owner of American Breeders, Richard F. Doyle, 55, was charged with three misdemeanor counts of animal cruelty. Mario Mancini, the longtime owner and manager of A&S Pork Store and Fine Foods, isn’t the only one who doesn’t cheer for the weather to turn cold. However, his reason is a little different than most. During the dog days of summer and even during the warm months of spring, Mancini often finds himself working his busiest and longest hours of the year. The scheduled store hours are from 9 A.M. to 6 P.M, but when business is booming, the hours that Mancini finds himself at the store more closely resemble 8 A.M. to 7:30 P.M. The store is open seven days a week with Mancini rarely taking a day off.